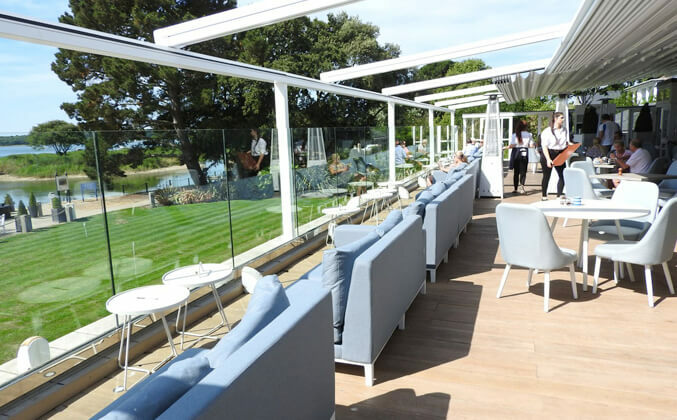 We're experts in all things shelter and shade, we understand that every project is different and requires meticulous planing whilst giving careful consideration to your budget. We work with domestic, commercial and educational clients of all sizes, our team only offer the best advise to help you purchase the right system for your requirement. See how we’ve worked with hundreds of customers to turn their projects into real success stories. 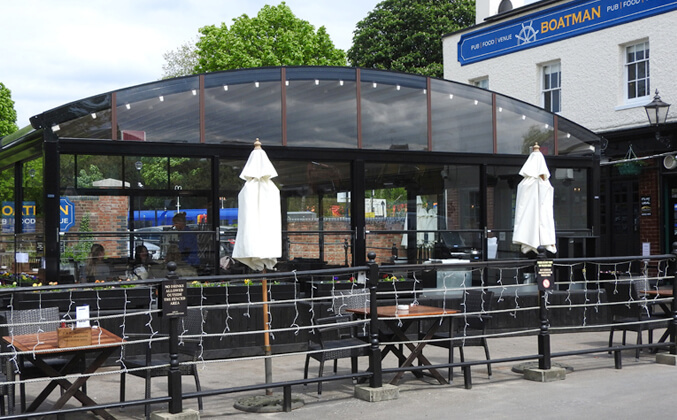 Installing 2 Eva retractable roof systems along with crystalline clear drop down awnings has created an outdoor space that will be well used and extremely functional all year round. Operation for both the roof systems and the awnings is simply a push button operation and will allow the space to be used in all weather conditions. Grayshott Pottery wanted to make the most of their outdoor space. 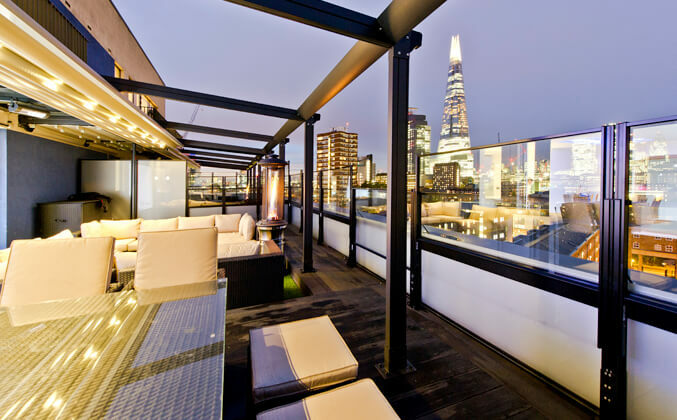 We installed a Novo System retractable roof system, AGS screens with integrated gate, LED lighting and a heating system. 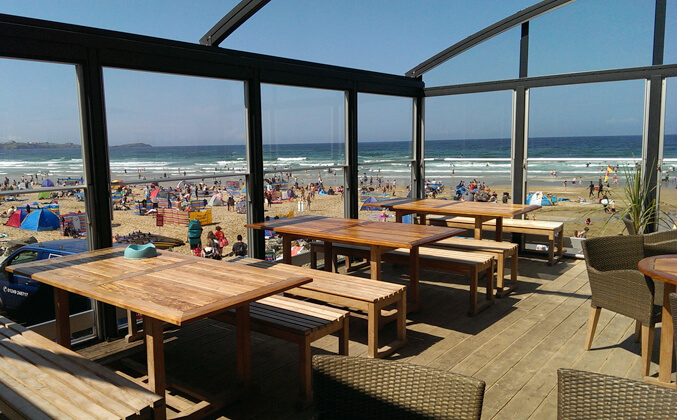 Zapp were approached by Watergate Bay Hotel to find a design which allowed The Beach Hut to better utilise the existing outdoor decking area. 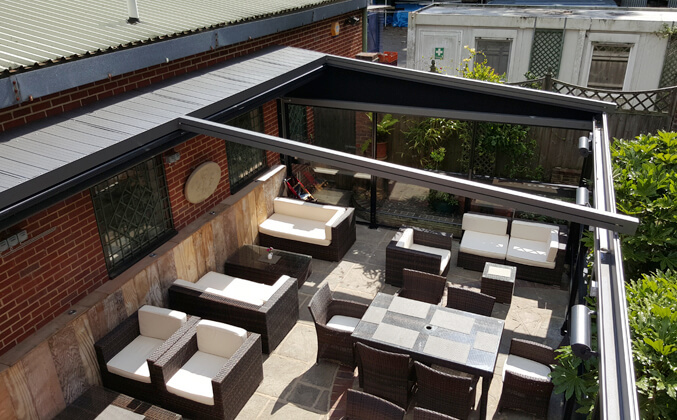 We installed a Radian 7.5 x 4m retractable roof. 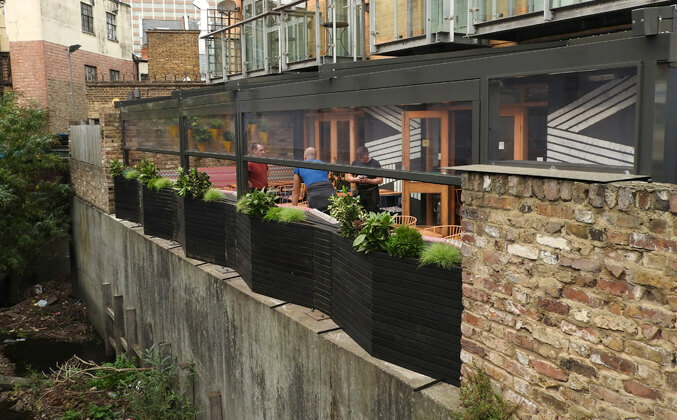 This unit is attached from the facia of the restaurant covering their terrace area and has AGS height adjustable glass screens integrated to provide complete protection. 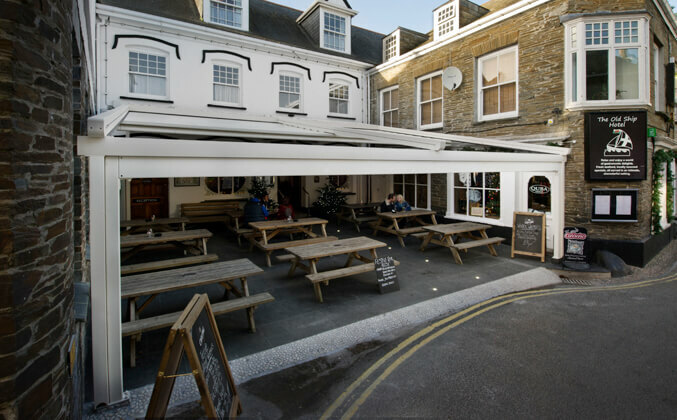 Zapp has completed a 8.5m square retractable canopy for the Old Ship Hotel which is fitted with LED lighting. 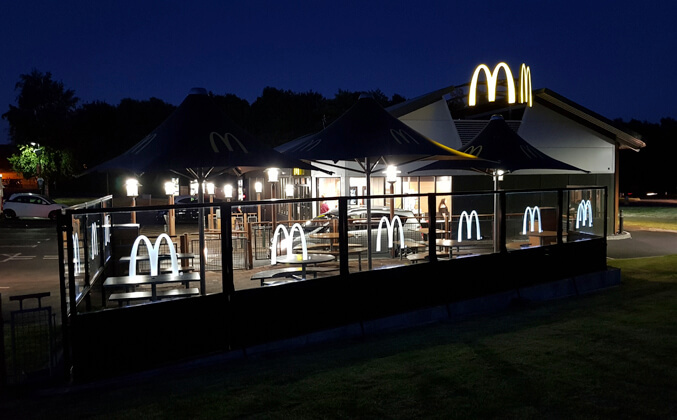 This unit free stands and replaces the original marquee structure. Zapp worked with a local fabricator to create an unsupported front beam so that the view of the hotel was not obscured. Zapp replaced all 3 of the awning covers at The Clifton Lido, the week before Christmas, much to the amusement of those dining and watching the work being carried out, especially as you are standing on ladders right on the waters edge. These awnings were installed quite a number of years ago, however they are always looking good as all the component elements can be changed as necessary. 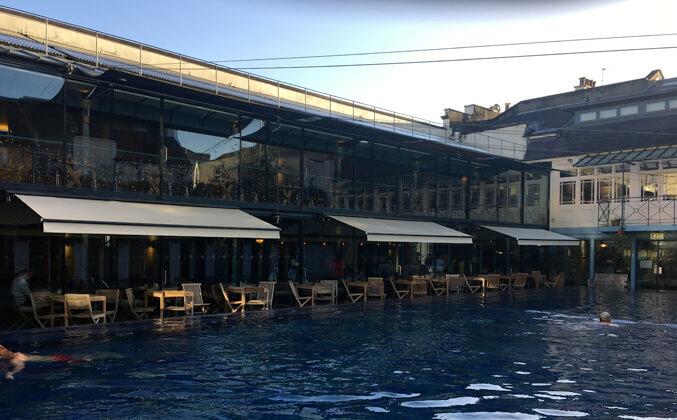 The Boatman now has room to seat many more people in whatever the weather can throw at it, after the installation of one of our retractable roof systems, with integrated heating, lighting and AGS screens.